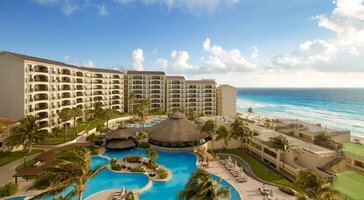 Cancun is perhaps known for its gorgeous white beaches, crystal-clear waters, sizzling nightlife, and perfect margaritas. There's a lot more to this Mexican-Caribbean locale, however. 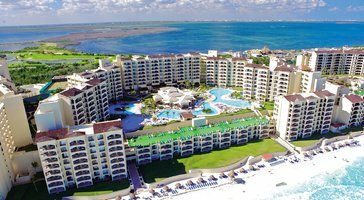 You'll need to find out for yourself what makes Cancun so popular, and one of the first steps is to book one of Vacatia's suites in Cancun. 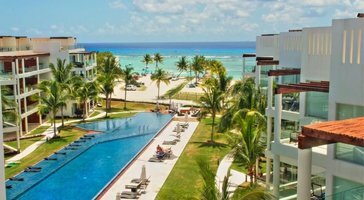 You can look online for Cancun condo rentals or Cancun timeshare rentals, but it can be a chore to sort through all your choices - unless you use our comprehensively organized database. 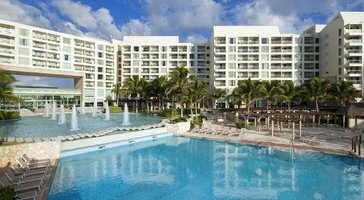 All of our Cancun resorts have been highly recommended, and our Guest Care team is always available to answer any of your questions via online chat. 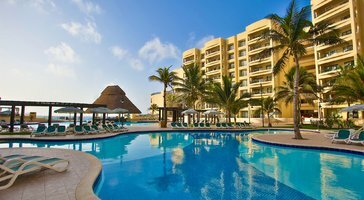 When you book with Vacatia, you'll have the peace of mind of knowing exactly what to expect from our Cancun villa rentals and other accommodations before you leave home. 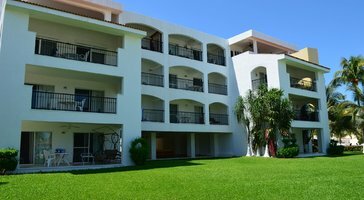 If you're looking for Cancun condos for rent, you're likely looking forward to a homey space with your own kitchen, living room, and dining room. 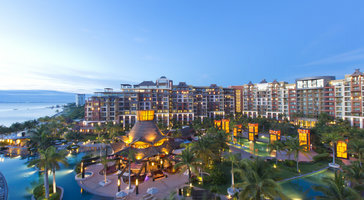 Those looking for resorts probably want luxurious amenities and services. 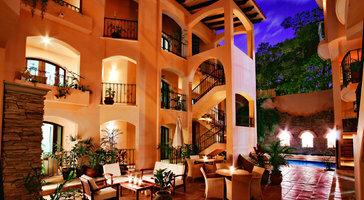 If you want the best of both worlds, consider booking one of our resort residences. 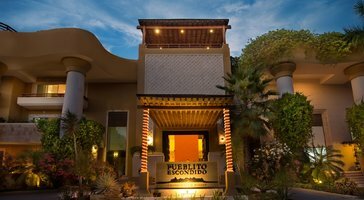 This unique form of accommodation combines a spacious living area, a fully equipped kitchen, and services such as daily housekeeping, concierge check-in, relaxing spas, gourmet on-site dining, and more. You'll be able to prepare breakfast, lunch, or dinner to save on food costs. You can hang out with your friends and family in your own space. You can also leave the cleanup to on-site staff when you want to head out for a night on the town. You can have it all when you work with Vacatia. 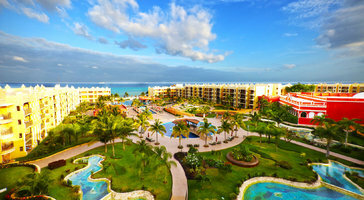 Cancun offers a range of experiences to its visitors: Mexican and Caribbean, ancient and modern, laid-back and thrilling. 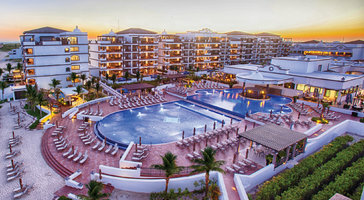 Its natural beauty, endless activities, cultural treasures, and state-of-the-art conveniences are unequalled. 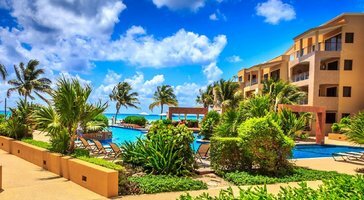 With its perfect weather and easy accessibility from North America, Cancun has emerged as the world's best vacation destination. In addition to its legendary beaches with white sands and turquoise waters, it is home to hundreds of exotic flowers (one of which certainly lives up to its name of "flamboyance") and fascinating creatures (such as the iguana). 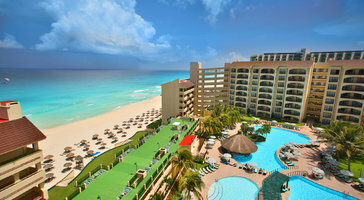 If you love sports, Cancun will not disappoint. It contains five premier golf courses, amazing coral reefs for scuba diving and snorkeling, jungle tours, and sport fishing. You can also simply soak up the sun on the soft, sparkling beaches while the warm Caribbean waters lap your toes. 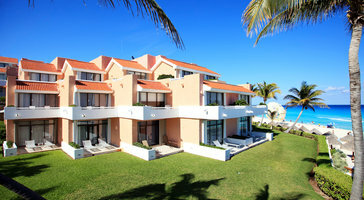 Book one of our Cancun vacation rentals and get your vacation plans underway.